3. URL disguised as https://secure.regionsnet.com/EBanking/logon/user - Looks secure (https) but it isn't! 4. Real URL obviously not Regions. 4. Website traced to Brazil.
" 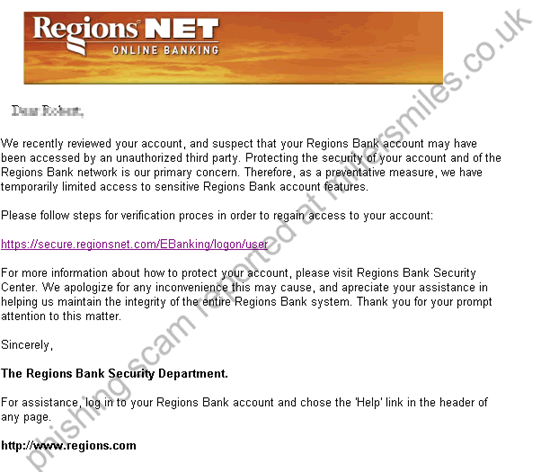 We recently reviewed your account, and suspect that your Regions Bank account may have been accessed by an unauthorized third party . " Not online at time of report, but likely to closely resemble the real Regions site.